Tell me and I forget. Teach me and I remember. Involve me and I learn.” — Benjamin Franklin – Welcome to Katie's Krops ! In 2009 I was only in the fourth grade, but I had a dream, a dream that I could help end hunger by growing vegetable gardens. My first foray into gardening had resulted in a 40 pound cabbage. I was confident that I could turn my dream into reality, but I knew I couldn’t do it alone. I had the support of my family, but I knew I would need more. I needed a teacher; I needed a Master Gardener. That year, as the Clemson Exchange Master Gardener class graduated, volunteer opportunities were offered to the new graduates. One opportunity presented was to help a young girl with a small garden. I was that young girl and, well, as most of you now know my garden was anything but small. Lisa Turocy stepped up and offered to help. In March of 2009 I met Ms. Lisa for the very first time in a classroom at my school. I had no idea on that day just how Ms. Lisa would come to change my life and support my dreams. For the past three years, Ms. Lisa has been by my side, guiding me on my journey to prevent hunger by growing vegetable gardens. Never telling me what to do, teaching me yes, but most importantly she has involved me every step of the way. Together we have worked plant by plant, row by row, garden by garden to grow my dream. I learned more than I ever could have learned from a book. Ms. Lisa’s passion for gardening overflows into her work. No matter the crazy circumstance, my Master Gardener has been up to the challenge. From Disney channel turning our gardening into a ‘television set’ to traveling miles down a bumpy, dirt road to plant new gardens; she is always up for the challenge. Perhaps the most amazing part is, I never realized just how much she has taught me. It wasn’t until I was on a live broadcast in California with world renowned horticulturalist & landscape designer Jamie Durie, that information started to flow from my lips about companion planting, gardening techniques and so much more. It was then that I realized what an amazing teacher Ms. Lisa is. Nothing I spoke of I had ever learned from a book. I learn from doing, from growing side by side with Ms. Lisa. Thank you will never be enough. I owe Ms. Lisa so much more. 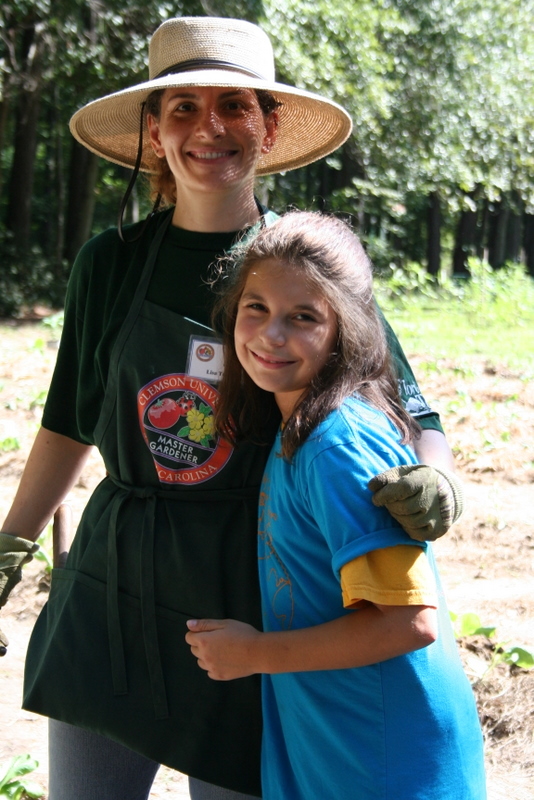 She is not only my Master Gardener, my teacher, my fellow Katie’s Krops board member, she is my friend. Never did I image in March of 2009 the journey we would be on together as we grow Katie’s Krops from a school garden to a national not-for-profit. I am blessed that she stepped up that day and said she would help that young girl with her small school garden. Because… “As the Garden Grows, so grows the Gardener.” Thank you Ms. Lisa!